Hair transplant is the Gold standard treatment for baldness. Among all treatment modalities for hair loss, Hair Transplant is the best hair loss treatment. The hair treatment cost used to be exorbitant a few years back. But over the time the hair transplantation cost has come down due to rising competition and loss of monopoly of few centers over hair transplant in Delhi. We at Hair Science centre have risen to the level that we can say that we are among the Best Hair transplant centers in Delhi. We have kept the hair transplantation cost reasonably low so that more and more people can avail benefits of hair treatment. Hair transplant in Delhi is the trendsetter for the rest of India. The advanced hair treatment techniques also hair transplant in Delhi and the level of expertise reached in Delhi is very difficult to achieve by hair transplantation surgeons even from the most famous hair transplant in Delhi (India) Centers. Delhi-NCR has surpassed the rest of India in hair transplant technology. Delhi has become a hub for hair loss treatment and hair transplant in Delhi. Due to the rising pollution levels in Delhi and the change in the lifestyle of people in Delhi, the hair loss problem is on rising. This has not only increased the demand for hair loss treatments but also the need for Hair transplant in Delhi has increased very rapidly. Hair Transplant Results are unmatched by any other hair loss treatment modalities whether used alone or combined even if when used for many years. Hair loss medicines have to be used for many years and their results are inconsistent. The result of hair loss treatment medicines is limited and they have limited efficacy. When compared with a hair treatment, a limited number of hairs can grow after use of these hair loss medicines. Another drawback of medicines is that their response is maintained until the time. we are using these hair loss medicines. The time we stop these hair loss medicines, hair falls starts again and in no time we lose whatever gains we have attained by the use of hair loss medicines you can resolve your all problems by hair transplant in Delhi. When we talk in terms of a number of new hair gained over the scalp after treatment then we find that Hair Transplant is the best treatment of hair transplant in Delhi. Total cumulative Hair Transplant cost is also less when compared with medicines and hair transplant remains the most affordable hair loss treatment. Hair loss medicines have to be taken for many months and years. If we add the cumulative cost of all these hair loss medicines over let’s say 5 years and compare it with hair transplant cost in Delhi then we find that hair treatment procedure is a more cost-effective option. At Delhi hair transplant center we are doing Hair transplant at the most affordable rates. Hair Transplant. Best Hair Transplant in Delhi. Best FUE Hair Transplant. Are you a good candidate for hair transplantation? Now, this is a very important question whose answer everyone wants to know. You have made up your mind that you wish to undergo a hair transplant in Delhi. But you are not sure whether you will get good results by hair transplant in Delhi. Cause of Hair loss: if the reason for your hair loss is Male pattern baldness, Hereditary/family history of baldness then you are an ideal candidate for hair transplant and results of your hair transplantation will be long-lasting. Age: hair transplantation results are better in young people. Results are good even in patients in their late 40s. After that age, the hair transplant results are not that satisfactory. There are many factors responsible for it including the effect of aging over stem cells, regeneration power of our body, healing of tissues, digestion system, cardiovascular system, liver, blood vessels, atherosclerosis and many other organs of our body. 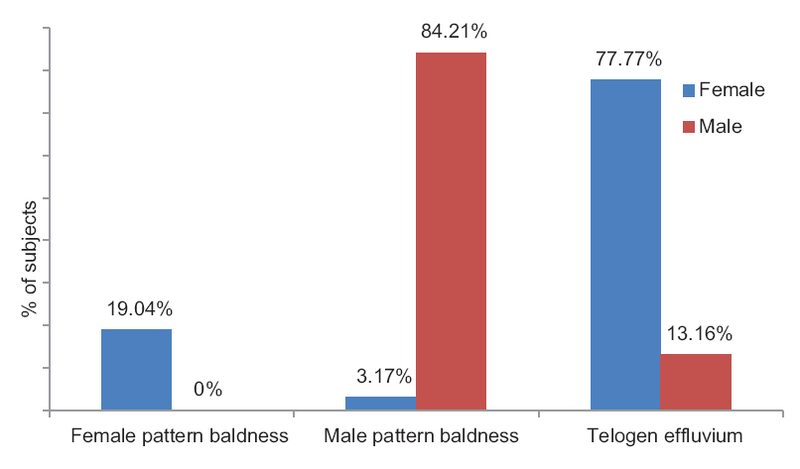 The grade of baldness: the lesser the grade of baldness the better will be the hair transplant results. The more the grade of baldness the poorer will be the result of hair transplant. If the amount of hair loss is more then lesser hairs are available in the donor area. The quality of those hairs is also not good. For such cases, we have to use body hair transplant. The hairs over the rest of the body areas are of poor quality. These body hair transplant hairs will grow slowly, will not grow long and are thin and curly as compared to the scalp hairs. Quality of donor’s hairs: One of the most crucial factors affecting hair transplant results. If your donor area hair is thick, shiny, strong and grows fast then you are bound to get good hair transplant results. If the donor’s hairs are thin and sparse then the result of hair transplant will be poorer. The hair which will grow after hair transplant will be thin, lusterless, will grow slowly and will not grow after a certain length. Lifestyle: if your lifestyle is good, sleep and eating habits are good then your hair transplant results will be better. Drink lots of water and never get dehydrated. A healthy diet and proper sleep are needed to get good hair transplant results. Good lifestyle and stress-free life will definitely improve the results of your hair transplant. Healthy diet: if your diet is having fruits and vegetable on the menu and you are taking regular “natural protein” rich diet then your hair transplant results will be good. Eat fruits daily and include a good quantity of vegetables in your daily meals. Take a high protein diet after your hair transplant containing high quantity of essential amino acids. Never skip your meals and don’t eat fast food or spicy food. 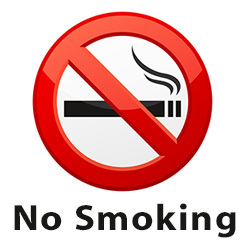 Smoking: smoking adversely affects hair transplant results. Smoking causes miniaturization of hair follicles and reduces blood supply of the scalp. The spasm of blood vessels and atherosclerosis associated with smoking will jeopardize the blood supply to the scalp. Reduced blood supply to the scalp will deprive your hair follicles of the essential nutrients for their growth. This will reduce hair transplant results. Alcohol consumption: alcohol produces toxic metabolites and damages liver which hampers the hair transplant results and causes thinning and shortening of hair. Alcohol also reduces the blood supply of the scalp and causes hair loss. Liver damage also reduces the production of essential protein and amino acids for hair growth. Exercise: exercises like walking, jogging or cardio will help in proper growth of hair follicles and will improve the hair transplant results. Regular Follow up regular follow-up once a month is essential especially for the first 6 months. Get your hair growth examined by your hair transplant surgeon so that some timely intervention can be done if needed. This improves hair transplantation results. 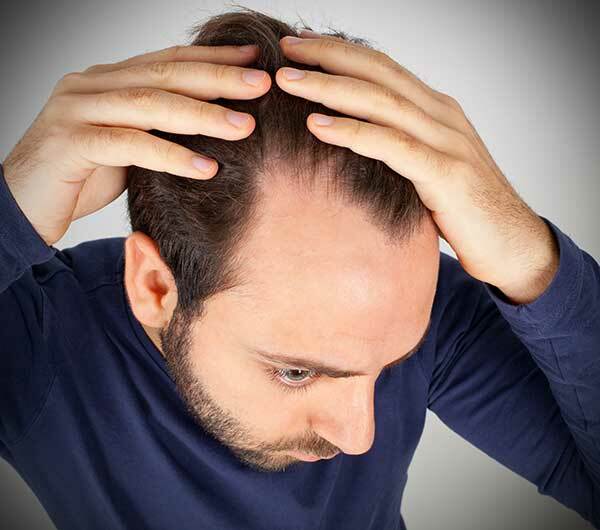 Avoid taking blood thinning medications like aspirin for a few days before the Hair Transplant. Take opinion of the physician supervising your hair transplant. Smoking/Alcohol/Gutka reduce the hair transplant results by reducing the survival of the hair follicles. If you are going for hair transplant then they should be stopped completely for 7 days before the date of Hair Transplant. Avoid any kind of exertion or stress. 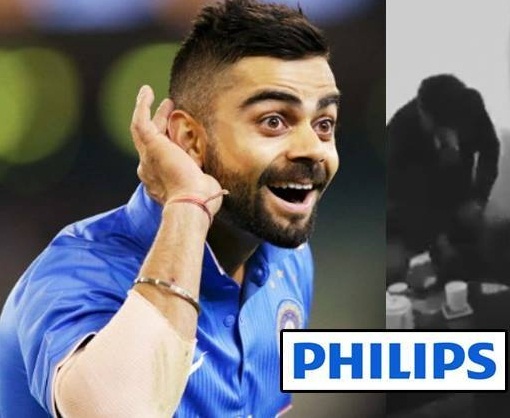 One should be calm and relax during hair transplant. Take proper sleep at least one day before hair transplant. It is advisable to take alprazolam 0.5mg on the night before the hair transplant to get relieved of the anxiety of the surgery and get a sound sleep. Some tests such as Blood tests (CBC, coagulation profile, LFT, HBsAg, HIV-Elisa, Australia Antigen and ECG) need to be done 2 days prior to the hair transplant. It is advisable to shave the possible body donor area (chest, pubic, armpit, back or thighs) hairs exactly 7 days prior to Body Hair transplant. On the day of Hair transplant avoid wearing garments especially T-shirts which need to wear from head to avoid causing loss of Hair Follicles transplanted while removing the garment. Wear regular shirts with buttons at the time of hair transplant. Take tablet Ceftum 500mg twice daily for one day before the day of hair transplant. Shampoo your hairs properly in the morning of the day of hair transplant in delhi. No oil, sprays or gel should be applied to the scalp on the day of hair transplant. One can wear cap after shampoo to keep the hair free of dust. Have light breakfast before the procedure. Avoid oily and spicy food on the day of Hair transplant. A relative/friend can accompany the you to the Delhi Hair transplant Center. You can drive back home on the day of the hair transplant. The earliest technique of hair transplant is Follicular Unit hair transplant Technique. This hair transplant technique is also called the Strip Method of hair transplant. In this technique of hair transplant, a strip of scalp bearing hairs of appropriate density is excised from the back of the scalp. There is a specific area over the back of your scalp, that bears the hair follicle which is resistant to shedding. The hair of this area does not shed even in the most extreme of the conditions. Even under severe nutritional deficiency, this area of the hair follicle is not shed. Even DHT cannot harm the root of hair follicle of this region. The hair of this area is the last hair to fall from our scalp. Even they are resistant to aging and are even present when the person reaches the age of 80s & 90s. Because the hairs of this region/area of the scalp are highly resistant to shedding hence this area of the scalp is called the ” SAFE ZONE ” During hair transplant it is preferable but not mandatory to harvest hair follicles from this area of the scalp. During FUT hair transplant the strip is marked in curvilinear fashion at the central portion of this area. 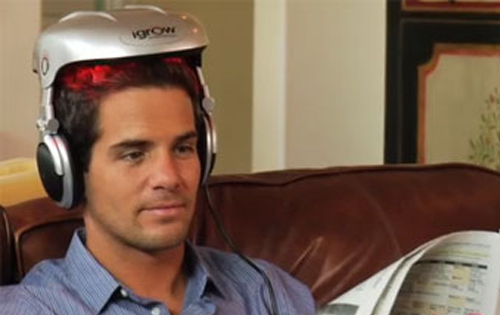 As the strip for FUT technique is to be harvested from the back of the scalp, the patient is to lie down over the operation/derma table. You have to lie down in prone position i.e. on your stomach. The exact location and margin of the strip are marked over the safe zone. The hairs over the marked area are trimmed using Philips trimmer. 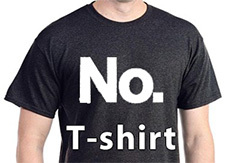 Using either a single No. 11 or No. 15 blade the demarcated skin strip is incised. the incision is then deepened carefully to avoid damaging the hair follicle roots. the blade is inserted at an angle to the scalp which parallels the angle of the hair follicles to avoid transaction of the hair follicle roots. By use of the tumescent solution for infiltration during Hair transplant we minimize the follicle transection by appropriately aligning the hair follicles during a hair transplant. During a hair transplant, the tumescent solution provides a plane between the hair follicle base and the larger nerve plexuses & vessels. This prevents accidental cutting of nerves and blood vessels during a Hair Transplant. 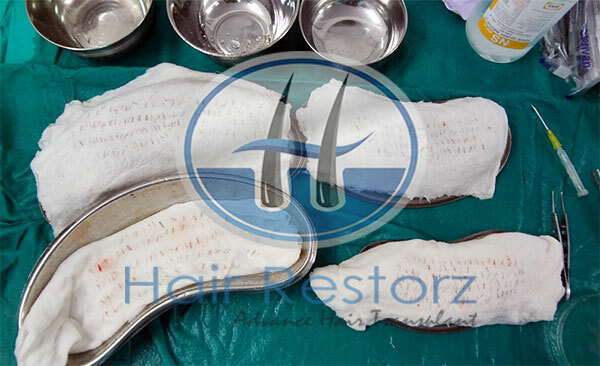 Hair Transplant by strip method, the width of the strip is determined by the laxity of the patient’s scalp in order to yield the maximum number of grafts and limiting the tension on closing the edges. In a hair transplant, the edges are closed in layers with the deeper layers closed using absorbable sutures (vicrly) and the outer layer with non-absorbable sutures (ethilon/prolene). FUT hair transplant Advantages are a larger number of hair follicle units harvested in a shorter period, lower rates of hair follicle transaction and the ability to include the protective surrounding tissue containing the stem cell during hair transplant in Delhi. Another advantage of FUT technique of hair transplant is that the remaining scalp is left undisturbed and can be used for repeat hair transplant, harvesting of the hair follicles using either FUT method of hair transplant or the follicular unit extraction (FUE) method of hair transplant. Hair transplant by FUT technique has one important and bothersome disadvantage which is the resultant scar over the donor area in hair transplant which becomes visible when hairs are kept short. In a Hair transplant, there are various Plastic Surgery techniques with which the resultant hair transplant scar can make it almost invisible. Ask your surgeon doing hair transplant in Delhi about the technique he is going to employ to prevent the scar at the donor site during and after the hair transplant. In Hair transplant After harvesting the grafts, the hair follicle units obtained are dissected under microscopic visualization. While doing Hair transplant dissection under magnification is especially important to prevent follicle transection. The Hair transplant final separated hair follicle ready for hair transplant should have a pear shape. During Hair transplant, the epidermis has been maximally trimmed and the dermal and subcutaneous tissue surrounding the follicle isthmus and bulb remains intact. Doing Hair transplant this optimal hair follicle shape is frequently achieved after FUT Technique. Hair transplant in Delhi says that the cushioning provided by these surrounding tissues has been found to maximize the hair follicle viability. This minimizes desiccation during pre-insertion storage and mechanical trauma to the follicle from handling during hair transplant surgery. Selection of proper storage solution has grown increasingly more important in Hair transplant as “mega-session” hair transplantation involving slimmer grafts have become more common and out-of-body time has increased. Hair transplant in Delhi has shown that survival of transplanted grafts decreases by about 1% per hour out of the body time. Factors which reduce the graft survival during this extended out-of-body time include ischemia-induced hypoxemia and subsequent adenosine triphosphate depletion, as well as ischemia-reperfusion injury. At Hair transplant in Delhi, there are 3 types of storage media (intravenous fluids, culture media, and hypothermic tissue–holding solutions). We at Hair transplant in Delhi have noted that this help minimizes out-of-body variations in pH, osmotic balance, antioxidant capabilities, and nutrient support to the follicles. Hair transplant in Delhi uses various techniques to create and prepare the recipient area for Hair transplant hair follicles. The critical element with donor area preparation during Hair transplant is the angle and direction at which the hair follicles will leave the scalp leading to least damage to existing hairs. There is the creation of the natural hairline appearance of Hair transplant in Delhi centers. At Hair transplant in Delhi, we recommend that the density of hair follicle insertion at the recipient site is 100 – 120 hair follicular units per square centimeter. Some of the practitioners advocate for denser packing of more than 200 follicular units per square centimeter. Hair transplant in Delhi says this can, however, compromise the viability of the grafts as the competition between the transplanted hair follicles for a limited blood supply increases. Various techniques are used for recipient site creation and graft insertion. At Hair transplant in Delhi blades are cut to match the size of the follicular units to be inserted. At Some Hair transplant in Delhi centers hair transplant surgeons use hypodermic needles to make incisions for hair follicle placement. Recipient site size increases as the surgeon move posterior away from the hairline and the priority shifts from single, fine hairs to multiple, coarser hair follicular units doing hair transplant in Delhi. At Hair transplant in Delhi, a “stick-and-place” technique can be used to eliminate the time between which the recipient site is prepared and the hair follicle graft is placed within it. The “spread-and-place” technique at Hair transplant in Delhi reduces the mechanical trauma from hair follicle graft handling as the hair follicle is placed into a smaller recipient site. During Hair Transplant the patient is seated in a semi-recumbent position or prone position with head supported. Preparation of the donor and recipient area is done with betadine solution and draping is done keeping all aseptic precautions. Local anesthetic solution is then injected. At Hair transplant in Delhi, the donor area is injected superficially first, followed by a slightly deep injection along the entire hairline to create field anesthesia. Approximately 25 mL of 1:50,000 adrenaline solution is injected into the donor region for tumescence. At Hair transplant in Delhi, the donor strip is then excised in a superficial subcutaneous plane to avoid trauma to the neurovascular bundle and other smaller vessels. At Hair transplant in Delhi, he donor-site incision is then closed in two layers with an absorbable suture for the deeper layer and 3-0 Prolene suture for the outer layer. The hair transplant team is then split into two. Number One hair transplant team consists of those who perform the slivering (sectioning of the donor strip into many narrow strips). Number Two Hair transplant team divides these narrow strips to harvest single hair follicles from them. excess tissue is excised to allow the transplantation of just these follicular units. graft cutting is performed with the help of binocular microscopes or microsurgical loupes for accurate dissection. This process of follicle separation is very demanding and time-consuming but critical for the successful hair transplant procedure. At Hair transplant in Delhi, the grafts are cut on a Teflon cutting block by using size-11 /15 scalpel blades or double-sided razor blades. The grafts are stored in cold preservative-free solution of isotonic saline or some other storage solution including dipping the hair roots in PRP solution which is Bio-FUE. While the grafts undergo dissection, the surgeon at hair transplant in Delhi prepares the recipient sites. This can be done by customized blades or needles depending upon the surgeon’s choice. The recipient sites are made of appropriate size and direction while avoiding transaction of existing hair follicles. 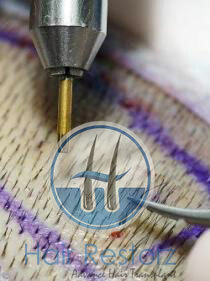 The harvested hair follicles are then inserted into the prepared recipient sites. This is an extremely challenging process and utmost care should be taken to prevent any trauma to the hair follicles. Before finishing the procedure the surgeon at hair transplant in Delhi once again inspects the whole recipient area and if few follicles are found popping out then they are again put inside. Hair Transplant procedure should never be done in the hurry to finish the procedure. At hair transplant in Delhi, we are in no hurry to finish the procedure early as the final outcome of the patient depends on how diligently hair transplantation is done on that very day. At Hair transplant in Delhi, for insertion of hair follicle imported forceps from Germany are used to gently place the grafts into the recipient sites. Transplanted hair follicle viability is maximized by minimizing the mechanical trauma to the follicle during its insertion. At Hair transplant in Delhi, this is accomplished by handling the dead portion of the hair (the part of hair which lies outside the scalp) rather than the sub-epidermal portion of the hair follicle itself. At our Hair transplant Delhi center, hair implantation devices allow for near-simultaneous recipient site creation and hair follicle insertion. In this FUE Hair transplant in Delhi technique individual hair follicles or group of 2-4 follicles (follicular units) are extracted either manually or with a motorized rotating punch device. The punch used for this is similar to skin biopsy punch and comes in various sizes from 4.5mms to 0.8mms. The punch is inserted into the donor area encircling the follicle unit to be extracted. The punch is pushed inside with rotating movement and to a depth sufficient enough to release major attachments of the hair follicle with the scalp skin. At hair transplant in Delhi, the punched-out follicles are then manually extracted with forceps or with the motorized suction device which employs a no-touch technique for follicle extraction. Follicular unit extraction (FUE) technique has the advantage of not creating a linear scar. At our hair transplant in Delhi center, there is a shorter and more comfortable recovery time and allowing the patient to keep their hair short after the procedure. 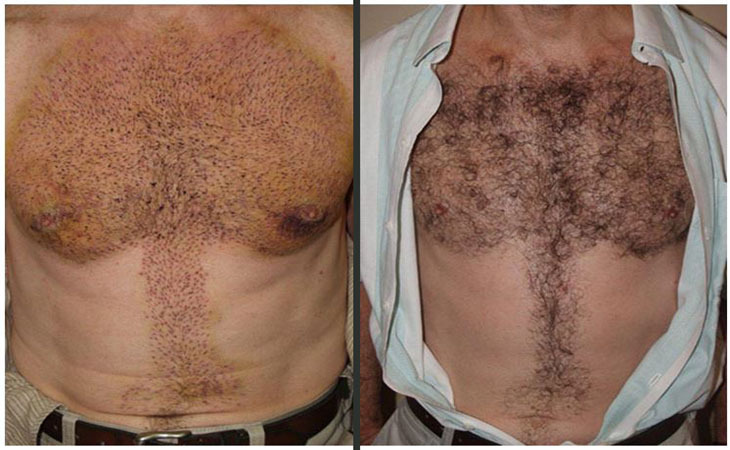 The disadvantages of follicular unit extraction (FUE) technique are a creation of numerous hypo-pigmented round scars in the donor area, an increased follicle transaction rates and it is more time consuming for both the patient and the physician. In follicular extraction technique, a larger donor area is needed for extraction of a smaller number of follicles. The number of hair follicles extracted with this technique is less as compared to the strip technique leading to multiple sessions for larger bald areas. This technique also renders the scalp donor area unfit for further follicle extraction using the strip technique. At Hair transplant in Delhi after harvesting the grafts, the follicular units obtained are dissected under microscopic visualization. Dissection under magnification is especially important to prevent follicle transection. In follicular unit transplantation (FUE hair transplant), hair follicles are separated into clusters of 1-4 hairs are transplanted. At Hair transplant in Delhi on an average, a single naturally occurring follicular unit contains about 2.3 hair follicles. The final separated hair follicle at Hair transplant in Delhi ready for transplantation should have a pear shape wherein the epidermis has been maximally trimmed and the dermal and subcutaneous tissue surrounding the follicle isthmus and bulb remains intact. Selection of proper storage solution has grown increasingly more important as “mega-session” hair transplantation involving slimmer grafts have become more common and out-of-body time has increased. Survival of transplanted grafts has been shown to decrease by about 1% per hour out of body time. Hair transplant in Delhi says that the factors which reduce the graft survival during this extended out-of-body time include ischemia-induced hypoxemia and subsequent adenosine triphosphate depletion, as well as ischemia-reperfusion injury. Three types of storage media (intravenous fluids, culture media, and hypothermic tissue–holding solutions) help minimize out-of-body variations in pH, osmotic balance, antioxidant capabilities, and nutrient support to the follicles. Various techniques are used to create and prepare the recipient area for hair transplant of hair follicles. Hair transplant in Delhi says that the critical element with donor area preparation is the angle and direction at which the hair follicles will leave the scalp leading to least damage to existing hairs and the creation of natural hair transplant. The most widely accepted density of hair follicle insertion at the recipient site is 100-120 hair follicular units per square centimeter. Some of the practitioners in Delhi advocate for denser packing of more than 200 follicular units per square centimeter. Various techniques are used for recipient site creation and graft insertion. 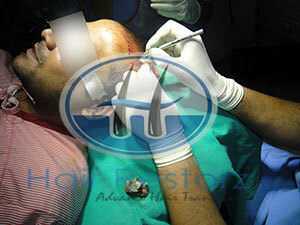 Blades are cut at hair transplant in Delhi to match the size of the follicular units to be inserted. At Some Hair transplant centers hair transplant, surgeons use hypodermic needles to make incisions for hair follicle placement. Hair transplant recipient site size increases as the surgeon move posterior away from the hairline and the priority shifts from single, fine hairs to multiple, coarser hair follicular units. At Hair transplant in Delhi, for insertion of hair follicle imported forceps from Germany are used to gently place the grafts into the recipient sites. Transplanted hair follicle viability is maximized by minimizing the mechanical trauma to the follicle during its insertion. At hair transplant in Delhi, this is accomplished by handling the dead portion of the hair (the part of hair which lies outside the scalp) rather than the sub-epidermal portion of the hair follicle itself. At Hair transplant in Delhi, hair implantation devices allow for near-simultaneous recipient site creation and hair follicle insertion. Megasessions at hair transplant Delhi means any hair transplant surgery where the normal limit of a number of graft transplanted in one sitting is surpassed. On average, in a single sitting of hair transplant, 2500 to 3500 hair follicles are transplanted. When around 5000 to 6000 hair follicles are transplanted in one sitting then such sessions of hair transplant is called mega sessions. Among all the techniques for hair transplant, Delhi only the strip surgery (FUT) alone or in combination with other techniques is capable of delivering such a high number of grafts in limited time. Patients get more dramatic results and the downtime for complete restoration procedure is reduced by many months. Financially also these mega sessions at hair transplant Delhi are more affordable for the patients. The secret of these mega sessions at hair transplant Delhi is to employ a bigger team of hair transplant surgeons. The team is divided into groups and each group has responsibilities shared and more work can be done in less time making this surgery possible. These mega sessions at hair transplant Delhi have superseded the more advanced techniques of hair transplant like FUE/Robotic hair transplant. Megasessions are providing patients with previously unimagined results in a single surgery. Direct Hair Transplant method is the most up-to-date advancements in the hair restoration field. It is the most innovative and advanced technique of hair transplant in Delhi. Direct hair transplant is very comparatively fast and fully painless. In the Direct Hair Transplant (DHT) technique each hair follicle is extracted one-by-one from the donor area and then these hair follicles are implanted directly to the recipient area hair transplant in Delhi. There is no need to cut or hole formation over the donor area before the hair follicle hair transplant in Delhi. There occurs no delay in the grafting and implanting of the grafts most important to improved survival of the grafts. We at Delhi Hair Transplant Center have found that the survival of extracted hair follicles depends on various factors and some of the important factors are Graft Hydration, Cold Temperature, Prevention of infection and Mechanical trauma during handling of the graft. All important factors are taken care in hair transplants done at Delhi hair transplant center. Indirect hair transplant in Delhi there is no handling of the hair roots and hence no damage to the hair follicle during the whole procedure starting from the harvesting of the graft to the implantation of the hair follicle. As graft is not exposed to the environment hence there are no chances of infection or graft drought. Grafts can also be harvested from areas other than the scalp, hence especially suitable for patients having very spare hair over the scalp. Grafts are directly hair transplant over the bald area of the scalp without exposing them to the external environment leading to better graft survival. No dehydration and damage of hair follicles due to a separation of the hair follicles from the graft in other techniques. Less discomfort for the patient during hair transplant as all the procedures can be done in the sitting position. Less invasive, minimum risk of infection and complications. Minimal post-operative medications and care required. Faster healing as it uses smaller diameter punches. One of the most important values in plastic surgery is “REPLACE LIKE WITH LIKE”. At Hair transplant Delhi, Hairs from the scalp are the best replacement for the bald areas of scalp but regrettably some patients do not have sufficient hair over the head to complete result. In such cases, it is possible to transplant body hairs which are related to head hairs in structure and quality. Hairs may be taken from the beard area, armpits, chest, abdomen, back, arms and the legs. little thousand grafts can be taken from all these areas combined varying from patient to patient. If the Patients have not enough body hair cannot undergo this procedure. At Hair transplant Delhi Body hairs are detached by FUE technique, leaving no scar line over the recipient site. FUT and Robotic Hair Transplant Delhi cannot be used to collect hair follicles for body hair transplant in delhi. better-quality punches are used to harvest hair grafts for body hair transplant in delhi. The Finer punches used the better is the healing of the donor area. The hair follicles are then transplanted over the donor area as in FUT/FUE/DHT techniques. some time ago the donor hair is transplanted they become permanent and can be trimmed and styled as normal. Rescue process for those having very thin hair over the scalp. Large number of grafts can be harvested. Grafts can be harvested from several sites by growing the team members thus saving the whole time of the patient. Graft harvest and hair transplantation can be done all together as the donor and recipient areas are beyond from each other and most of the procedure can be done in supine position. Robotic hair transplant is a slightly advanced technique from the newly popular FUE technique. 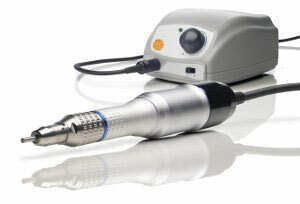 The difference between FUE and Robotic hair transplant is with the purpose of instead of the doctor it is the robot. This is actually harvesting the graft, so the variables which affect the hair transplant Delhi, surgery are all the same except for the graft harvesting step. The only real advantage of robotic hair transplant in Delhi is that it saves you from the really pathetic trichologist. Because of the software used in the robotic hair transplant Delhi. To calculate the direction of the hair follicle there is less operation of the graft as compared to the FUE technique. The robot can also create recipient sites for the placement of follicular unit grafts. According to an aesthetic plan designed by the physician of hair transplant Delhi. But this step should be best for the doctor to finish. Skyrocket prices for the procedure. The robotic hair transplant technology is still in early life as many critical steps of hair transplant Delhi, surgery is still the way they were more than 50 years back. The trend of keeping beard and mustache has come back again in Delhi. In various regions of India especially in Delhi, it is socially very important to keep the mustache. They are considered one of the status symbols for people in Delhi. Some men might have sparse mustache hair or some have patchy loss of mustache and for them, beard hair transplant in Delhi is a very good option. This facial hair transplant in Delhi may become the only permanent solution for him. The procedure of beard hair transplant is similar to the hair transplant over the scalp. At hair transplant in Delhi, the donor area for a facial hair transplant is back of the scalp and most common technique used for harvesting the grafts for beard hair transplant in Delhi is follicular unit extraction (FUE) technique. This hair transplant method is a minimally invasive procedure and can be used to restore hair density on different areas of the face. Finer hairs follicles for hair transplant in Delhi can be harvested from the side of the scalp. In some situations, hair over the chest can also be used for hair transplant. These hairs can be shaved and cut also. Eyebrow hair transplant is done to restore the hair of eyebrows when they are overly thin, sparse or completely missing. The loss of eyebrow hair requiring hair transplant can be due to electrolysis or laser hair removal, over-plucking, thyroid or other hormonal imbalances or trauma due to surgery, burns or any accidents. Hair transplant in Delhi to restore the eyebrow hair is a well established and popular technique Delhi to give fuller and right shaped eyebrows, especially in women. In an eyebrow hair transplant, hairs from just above the ear or from the side of the head are taken to transplant to the eyebrow region. The number of hairs required during hair transplant in each eyebrow depends upon the density and the desired shape. The whole process of eyebrow hair transplant in Delhi is performed under local anesthesia. Brow restoration hair transplant is a beautiful and permanent solution to hair loss in eyebrow areas. Eyelash hair transplant is the latest and most challenging of all the hair transplant procedures. Eyelashes play a very important role in enhancing the beauty of a woman. Women do every effort to enhance the length of lashes to make their eyes look bigger and dazzling. Indications for eyelashes hair transplant in Delhi are damage or loss of eyelashes due to any trauma or disease. These have a very negative impact and can make the most beautiful face look average. This hair transplant procedure also suits the women who need to thicken and enhance the appearance of their eyelashes. The eyelash hair transplant is a very delicate procedure as it requires the correct choice of donor’s hair and perfect placement of these hairs at an angle and position which gives the eyelashes the natural look to hair transplant. Even a single hair follicle placed in the wrong direction during hair transplant will make all the efforts go down the drain. To give a natural look a single hair follicle is transplanted at one time under a microscope during a hair transplant. In this procedure, 60 to 70 hairs are transplanted to each eye. The whole hair transplant procedure takes 2-3 hours and oral/mild sedatives are given during the procedure. Maintenance of the eyelashes is needed and they grow faster than the normal eyelashes and hence are to be trimmed short once a month. What Is the Ideal Hair Transplant age? Right Hair Transplant Age: Though hair transplant can be done at any age but still there is an age bracket where the results of hair transplant in Delhi are best. Hair transplant is the surgical part of the process of Hair Restoration. In a hair transplant, patient’s hair from the occipital area of the scalp is taken and transplanted over the bald areas of the scalp. The whole process of hair transplant is successful when the hair transplant look natural and they grow in a natural way. Hair transplant in Delhi is most commonly done in a younger age group (20 to 35 years of age). This is the age group in Delhi when a person is most conscious of his looks. Young people go for hair transplant in Delhi for various reasons. Some go for a hair transplant because they have lost hair very fast and there is fear of becoming totally bald. Some handsome men go for hair transplant because the bald areas over their head have ruined their personality. Some are in marriageable age and their baldness has threatened their prospects of getting a good match and hence they want to undergo hair transplant in Delhi. Some go for hair transplant in Delhi as they want to get rid of their stressed/aged looks because of hair loss. The Best Hair Transplant age to get good results is at a younger age. The person’s metabolic rate and physical activity have kept the scalp blood circulation good so as to supply sufficient nutrients to the hair treatment follicles. The hair follicles are young and the stem cells have retained the coding for many decades to come in a person’s life after a hair transplant. Hence the hair treatment procedure benefits them for their lifetime. The response to treatment options other than hair treatment is also very good at a young age. They also have social and family support for getting their hair transplant done. Excellent hair transplant results are expected at a young age. More people have hair loss problem in the middle ages than any other age group. Ageing, stressed life and some other unavoidable factors have led to hair loss which is more over the vertex region. There is only a thin rim of hair connecting the frontal area of baldness to the vertex region. The need for getting hair treatment is there but other things in life keep the person preoccupied. The condition remains neglected and at some point, everyone starts asking why he is so stressed or is everything alright in his professional or personal front and why not you undergo hair transplant in Delhi. Hair treatment at this age has still good results. The reason for the good results of hair treatment at this age is also due to the fact that only a few people opt for it and they are in real need of it. Financially they are more stable to bear the cost of hair transplant. And they can afford hair treatment and other treatment options which they could not have at an earlier age. The overall compliance for hair treatment and other procedures is also good. They are also more regular in follow-ups after a hair treatment and are more patient than their younger counterparts. The condition of the scalp is still good and the condition of the remaining hair follicles and stem cells in them is still dependable to give results after a hair treatment. Though they do not get the best hair transplant results still the results in them are good. At an age of more than 55 years, only a few people suffering from hair loss opt for hair transplant. Only those who have realized that they have only one life to live and they should live it fully go for hair transplant in Delhi. They have realized that the best investment is to invest in one’s own self and live a fuller and happier life. They have realized that all the money earned by them is of no use if it cannot make them live a happy and healthy life. The results of hair treatment at this age are not so good but they are really happy to have hair transplantation done. Hair transplant improves their personality and social well being. They get a good morale boost after hair transplant which transforms their personality and infuses a new life in them.